Garages are a great asset to any home, and add value to our properties. However, they’re often neglected, and we sometimes don’t even count it as part of our home, thinking of it as a separate entity. Garages will often end up being used for junk, things we can’t bear to throw away, or unfinished DIY projects, while it could be used for so much more. A garage is more than just a space for your car or your BBQ. With just a few changes it can be turned into something useful, whether it’s extra living space or somewhere to work. Here are some ideas for revitalising an old garage and turning it into a practical space. Old garage doors can soon become difficult to operate, and can start to let in draughts or damp. They can also cause security issues, as a door that’s damaged makes it easier to access your home. Look for garage door repairs in Perth to instantly give your garage a modern look, improving it both inside and out. It’ll also make your garage feel cosier, so if you decide to use it for a living space, it’ll be easier to heat. Some people don’t realise just how much space they have in their garage, as clutter soon piles up over the years. It can be difficult to motivate yourself to clear the garage, so having a plan for what you’ll do with the space can help. Donate anything that’s still useable, and consider hiring a van to haul away the junk to a recycling centre. If there’s anything left that you want to keep, store it properly in plastic boxes and label clearly, so you can keep your garage organised. Garages often have old concrete floors, which can make them feel drab and unusable. By investing in new flooring, you can easily transform the space and make it feel more welcoming. Don’t have much to spend? An easy option is heavy-duty vinyl flooring, which you can buy by the roll, and is simple for even amateur DIYers to lay. However, the type of flooring you choose will depend on what you intend to use the space for, and whether you want it to be practical or comfortable. It helps to plan how you’ll use the space and break it up accordingly. For example, you might still need some storage space, so might want to build some sturdy shelves, but you’ll then have enough room to create the room that you want. Most garages are large and square, which makes them fairly easy to plan out and give you lots of practical space. However, they can suffer from low ceilings, so you might need to plan the space to take this into account. If you plan to use your garage as living space, it’ll probably need some extra insulation. Insulation doesn’t just keep rooms warm, it also helps stop overheating during the summer months, so in areas such as Perth it’s essential. You might want to fit new garage doors in Perth WA to properly seal the room, and look at adding an air conditioner or other cooling system so that you can stay comfortable when working or relaxing. This will also help you prevent expensive energy bills from having to run fans or plug in heaters in your garage. If you want your garage to be more than just a storage space, it’s worth adding a window or two to add natural light. If there’s no way to add them to the walls, then you can choose a garage door with windows to make the room feel a bit homelier. Lighting is important in garage conversions, as they can soon feel dingy, so add lamps to any dark corners or consider installing LED lighting to the ceiling if you’re going to be working in there. Many garages have rather grim walls, usually with exposed brick that has been painted with layer after layer of paint. It can be hard to cover these walls with more paint or wallpaper, so it’s worth looking at installing dry wall which is a cheap and easy way to cover uneven walls. This can also stop the walls from feeling cold to the touch, and makes it easy to decorate and hang pictures. Using dry wall instantly makes a garage feel like another room in your home, and is a cheap way of doing a renovation. Garages often have grubby old ceilings, usually fitted with strip lights and neglected over the years. Giving them a coat of paint can make a big difference. If they’re uneven or draughty, then PVC ceiling panels can be a better option, and this can be a good excuse to update your lighting to something a bit more homely, like warm spotlights. If you’re turning your garage into a games room or man cave, then don’t be afraid to add some personal touches. The great thing about garages is that you can fill them with fun, personal items such as collectibles, and the sort of things you might not have on display in the house. You can hang a big screen TV, hang sports memorabilia, and generally just make the place your own. 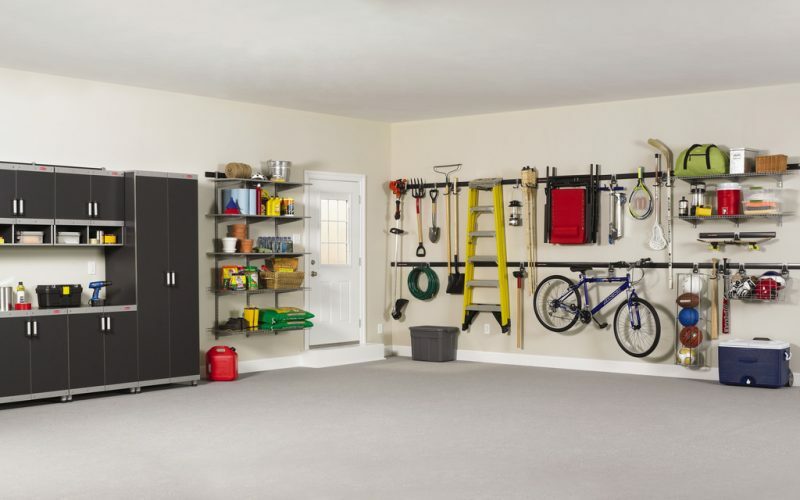 Garages can also be great as hobby rooms, whether you’re into carpentry or sewing, and it means you can have all the equipment out without it getting in the way. 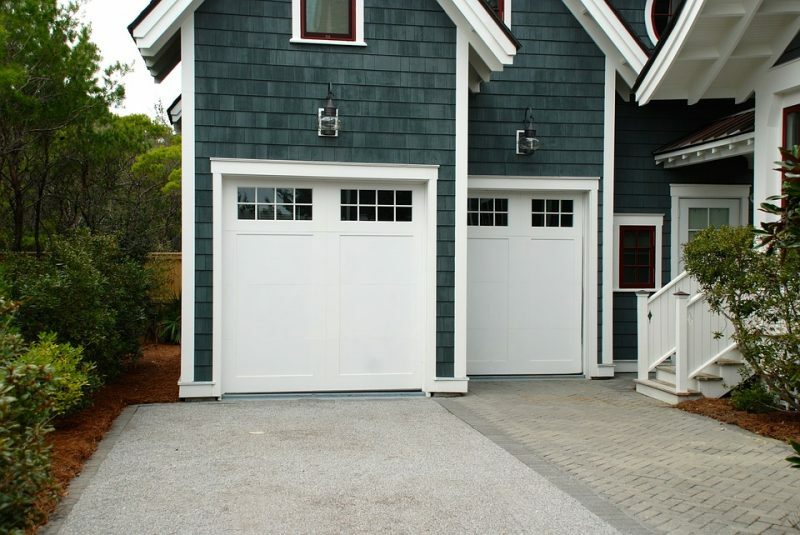 If you are transforming your garage, make Fix-a-Door in Perth your first call to repair and restore your garage door. Simply call 04 3800 2603 to get a free quote today. This entry was posted on Monday, January 22nd, 2018 at 6:42 am and is filed under blog. Both comments and pings are currently closed.